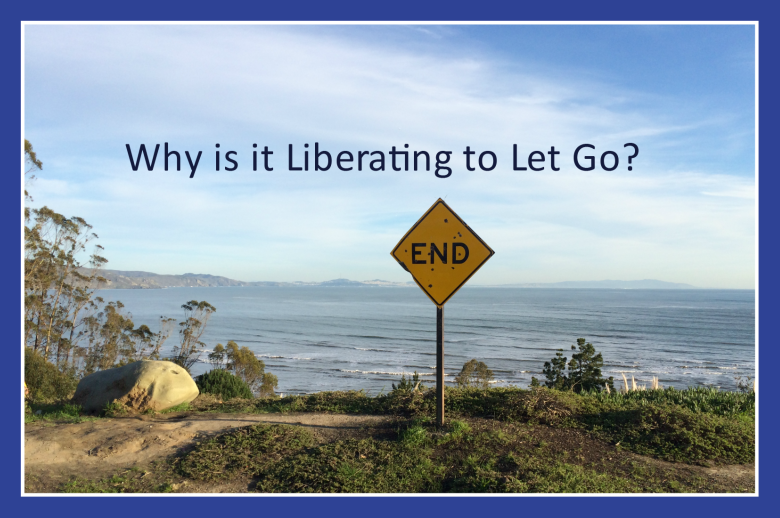 Why is it Liberating to Let Go? Brrrr it´s cold outside….what a wonderful time to sit comfortably by the window in a warm cheerful café and write an article to YOU. Sharing my lessons, insights and experiences is my passion and if it helps someone, it makes me happy. Right now my theme is "letting go". Well…to be honest it has been my theme for a long time, but I did not pay attention to it until I was 50. Until then, I wanted everything my way and letting things go was not an option. Growing up, I learned to control and manipulate things, not to let go. Sounds familiar? But that was a while ago…now at 61, I can accept that at times, I need to let something, or someone go. Yes even people…Sometimes I know that certain people who irritate me, are teachers for me, meaning that there must be a lesson in what´s causing the irritation. A friend asked me, how I could move from a beautiful place like San Francisco to Aachen, Germany. 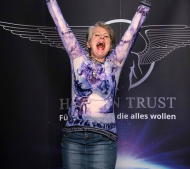 My answer was: I listen to my gut feeling, my intuition and when I feel the urge to make a change, I do it. I could be sad and depressed, that I live in a less glamorous place, can´t walk on the beach looking at the Pacific anymore, not marvel at the beauty of the incredible nature in California and so on. I do miss it, but I understand that life changes are neccessary. Same with the houses we owned, the life we had, the family that´s gone. I always have a choice to accept reality, or to suffer. Suffering is no fun, believe me I suffered most of my life, I know what it feels like….Letting go is not a passive state, like putting up with something and feeling like a victim. No, it´s active and it´s hard to explain, it´s something that does not come from the mind, but from a deeper place inside, it comes from the heart. My experience with letting go was kind of miraculous, I did not make it happen, something inside of me let go and that was it. The more I learned to trust the universe, god or a higher power, the more I could let go of stuff. Yes sometimes I miss things, but it´s not suffering, it´s like having a sentimental moment. Self-reflection, Meditation and anonymous programs are great to learn to accept and let go. Reflecting to people who understand can help and coaching can help. But first start with a wish to do something different and watch the miracle happen. I hope this was helpful and if you would like to share your experience with letting go, please leave a comment. We always love to read them.